We all love to travel but sometimes the jetlag can be enough to put us off, making us feel tired, giving us digestive issues and disturbing our sleeping patterns. Jet lag happens when our bodies internal clock or circadian rhythm is effected by long haul travel. The body and its functions are synchronized to the earth’s rotation so when we travel to other parts of the world our bodies are trying to adjust to the new rotation. Adjust your watch – As soon as you get on the plane for your flight adjust your watch to the time zone you are travelling to. Try to keep things normal by doing what you would normally be doing at that time of day e.g. if it’s night time where you are travelling to try to rest and sleep. Sleep – Try to only sleep at a time you would normally sleep and avoid naps as soon as you land, unless it’s already night time where you are landing. Spending time outside in the natural light will help your body to adjust to the correct time zone and the fresh air will help to wake you up. Sleepy foods – Many foods are great at promoting rest and relaxation, this is due to the minerals and hormones in them. Try snacking on bananas and cherry’s to help relax and induce a restful night’s sleep (bananas contain muscle relaxants magnesium and potassium where as cherry’s contain melatonin a natural sleep hormone). Water – Keep hydrated and avoid drinking caffeinated drinks and surgery beverages that give you a wakeful buzz as this can disturb your sleep later on. Make every moment count – The best tip of all is to make every moment count and start enjoying your holiday as soon as you get off the plane! Heading off on a family getaway this summer? Make sure the whole family is covered with comprehensive travel insurance. 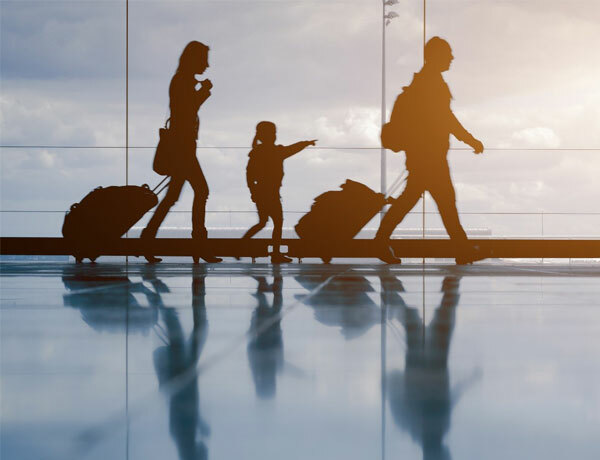 With a Questor Travel Insurance policy, you can cover the whole family under one policy (Please see policy terms and conditions). For more information on our travel insurance cover click here or call us on 0333 323 0090 for more information. Have your own jet lag cure which you swear by every time you travel? Send us a tweet to @QuestorIns, we would love to hear how other seasoned travellers beat those negative feelings of jet lag.